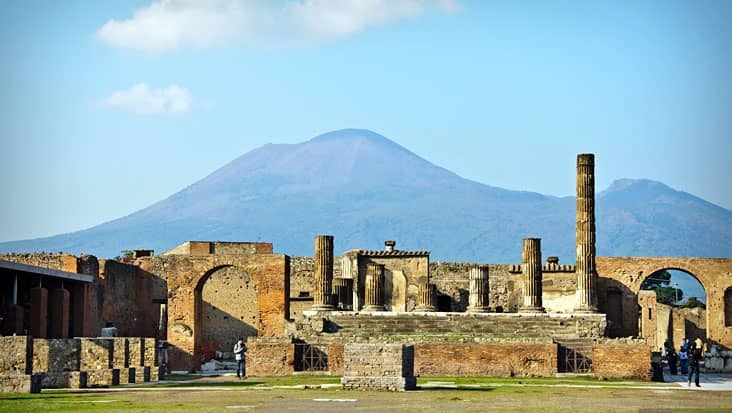 Explore the Ancient Towns of South Italy Full of Archeological Highlights Riding in Mercedes Sedans during Naples to Pompeii and Paestum Shore Excursion. 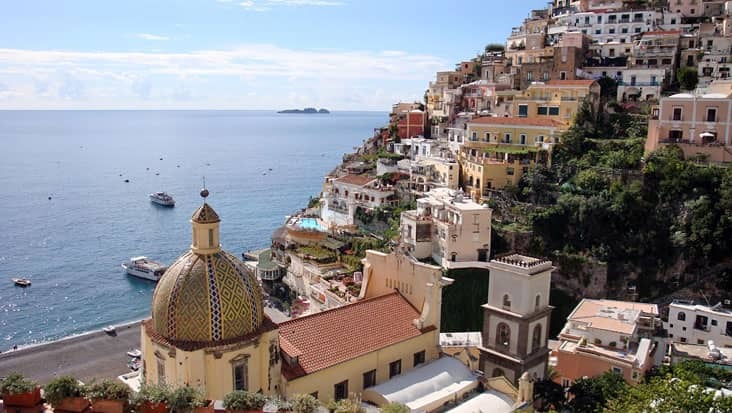 Italy is known for its serene destinations which are globally popular. 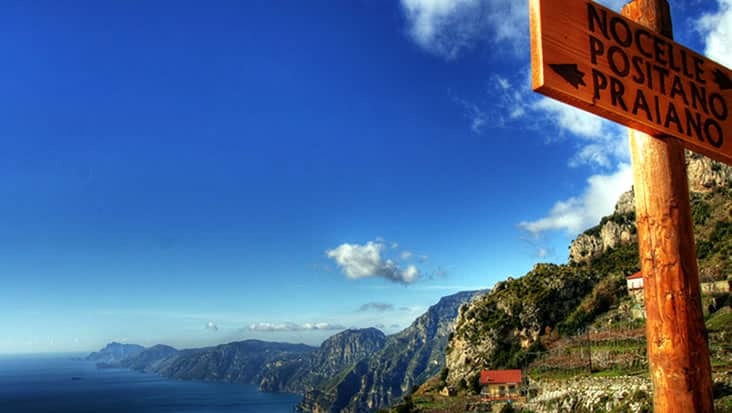 Southern Italy would keep you inspired and mesmerized since it is the home for major historical sites. 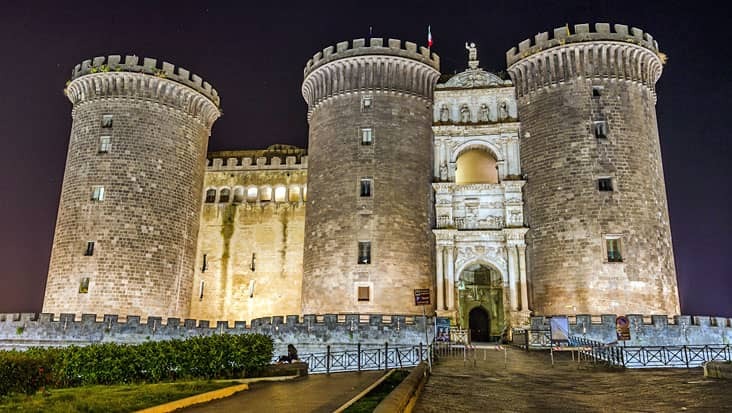 Naples is a well-known metropolitan city which that is the hub for medieval art & architecture. Many tourists access different road trips to nearby locations that are rich in cultural & heritage landmarks. 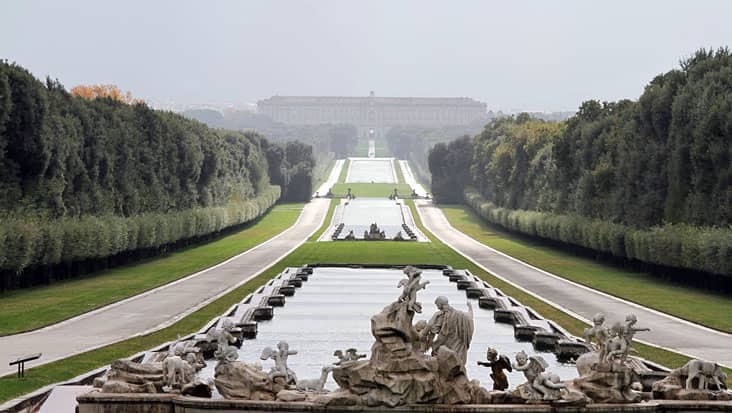 Benvenuto chauffeur service offers Naples to Pompeii and Paestum Shore Excursion that is rare and appealing. You would be served with Mercedes limousines driven by talented chauffeurs for exploring various sections of these ancient areas. 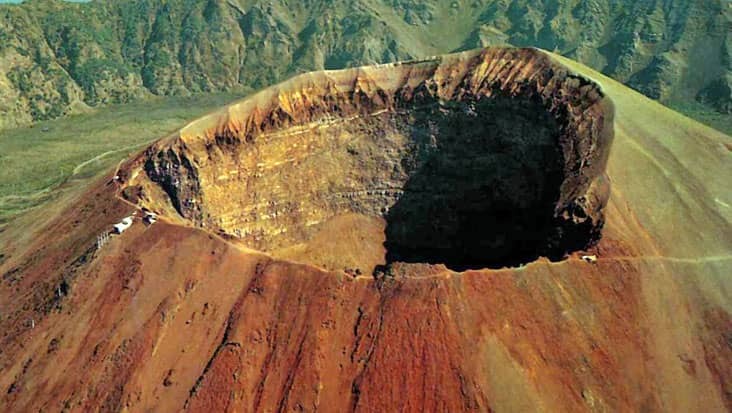 This is an exotic travel source which would surely please your senses. The duration of this ride is nine hours which would be managed in supreme comfort. One of the biggest advantages is that, the travelers can hire this tour package on all days of the year. 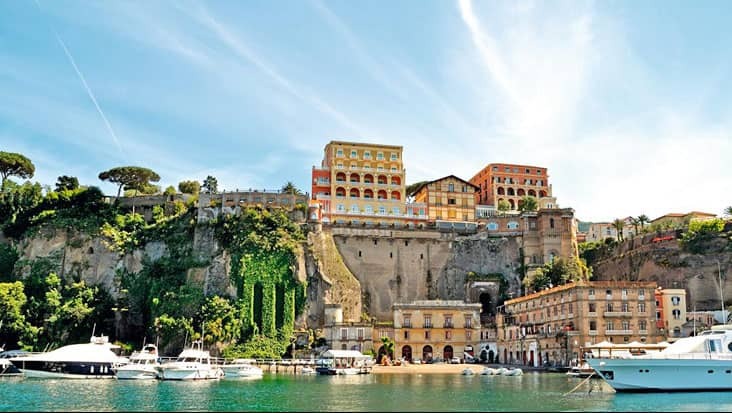 You must wear comfortable shoes for Naples to Paestum and Pompeii Shore Excursion. 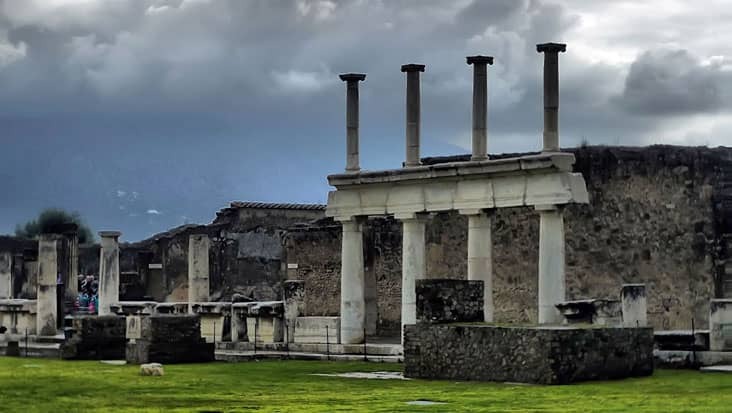 Pompeii is popular for its ancient ruins that are valued by tourists and archaeologists. This town was part of the Roman Empire but was destroyed in 79 AD. 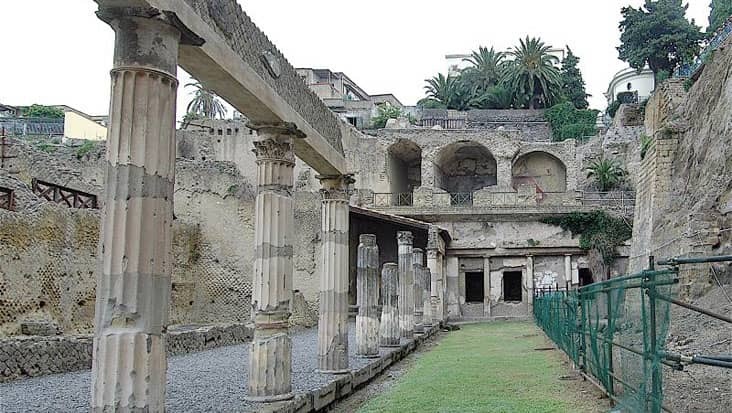 The Temple of Isis and the Amphitheater of Pompeii are the major excavations that are carefully preserved in this area. 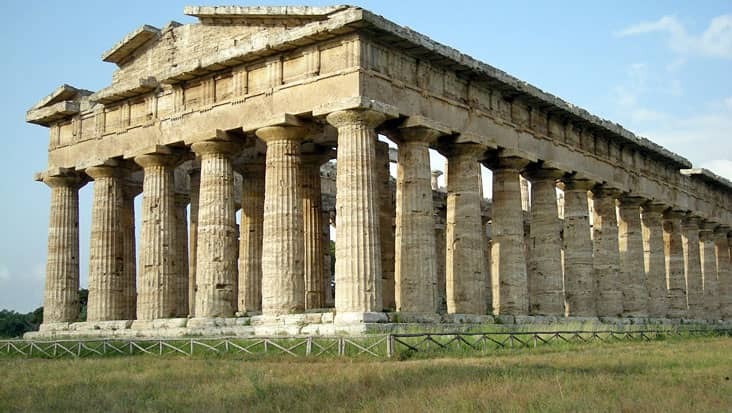 You would be cruised to the other destination which is Paestum. The white marble Greek temples of this deserted town are very impressive. 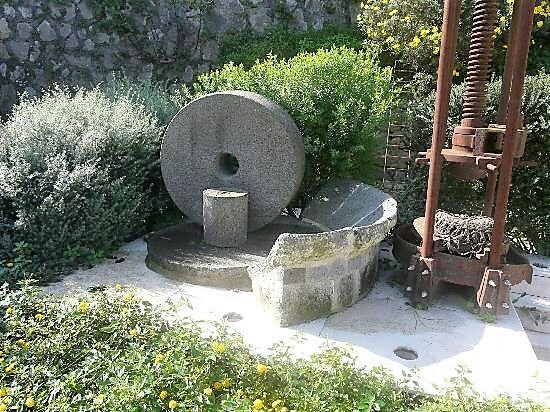 You can even check out Greek art and artifacts in order to learn about their vibrant ancient culture. Our service makes sure that the customers are cruised to all the popular tourist sites. We have chauffeurs who can speak English and offer exact details related to different highlights. A private guide can be hired for this ride. However the employment cost needs to be paid differently. 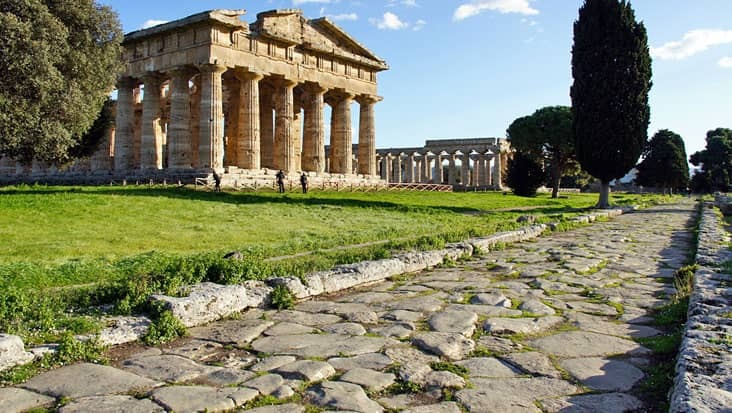 This tour to Pompeii and Paestum can be managed in efficient sedans and minivans. Our service also offers minibuses when the count of travelers is large. Mercedes E-Class, S-Class and V-Class rides can be hired at affordable prices. Our vehicles are equipped with GPS systems which is helpful for safe navigation. Entrance tickets and dining bills are not part of the tour package cost. 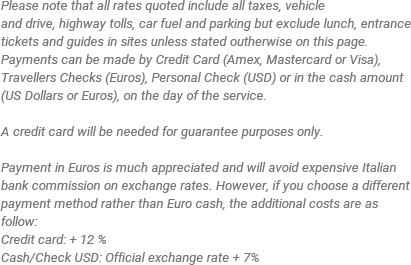 The travelers have to pay such amounts on the spot.